Living with dry and frizzy hair is hard. Not only does your hair look unkempt about 90% of the time, but it is also more prone to damage and breaking. It’s not uncommon for women with dry hair to eventually get to a point where they don’t even bother to let their hair down when they’re outside because they know that one tiny gust of wind is all it’ll take to turn their mane into a nest of frizz. But what if I told you that you CAN let your hair down and enjoy the wind without worrying about frizz? All you need is the right conditioner. 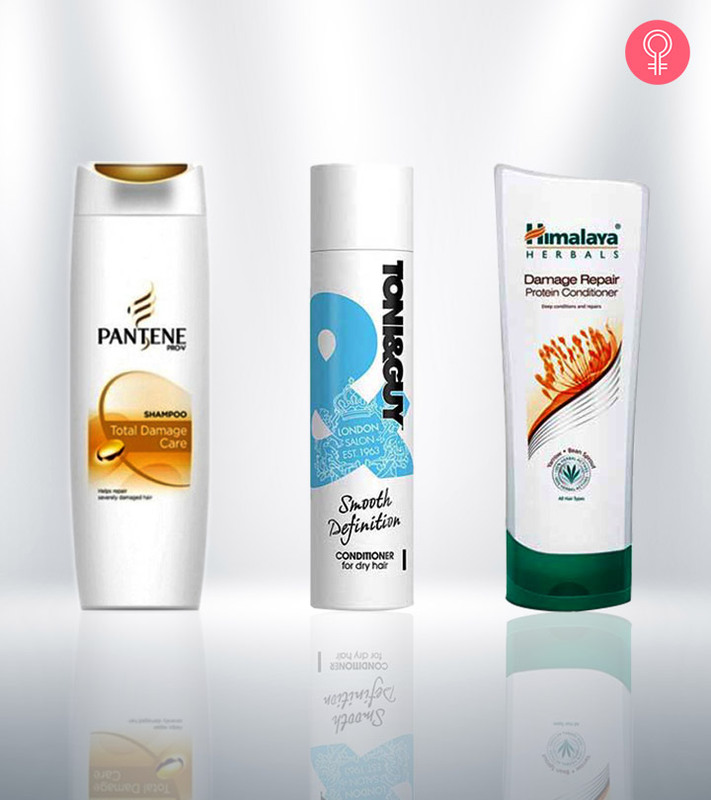 Using a good hair conditioner is crucial for women with dry and frizzy hair. Not only does a good conditioner help keep your hair hydrated, but it also smoothes it down to calm frizz and give your hair a defined body. Following, I’ve put together, a list of 14 hair conditioners that do wonders for dry and frizzy hair. Pantene’s Pro-V Total Damage Care Conditioner is, hands down, one of the best conditioners for dry and frizzy hair. The product replenishes hair health by repairing damage, moisturizing the hair shafts, and protecting the cuticles. When paired with the Pantene Pro-V Total Damage Care Shampoo, it provides your hair with continuous protection which is reinforced with every wash. The conditioner repairs damage that is caused to your hair from everyday activities while nourishing your hair from root to tip and providing it with long-lasting protection. Keeps hair hydrated for longer. 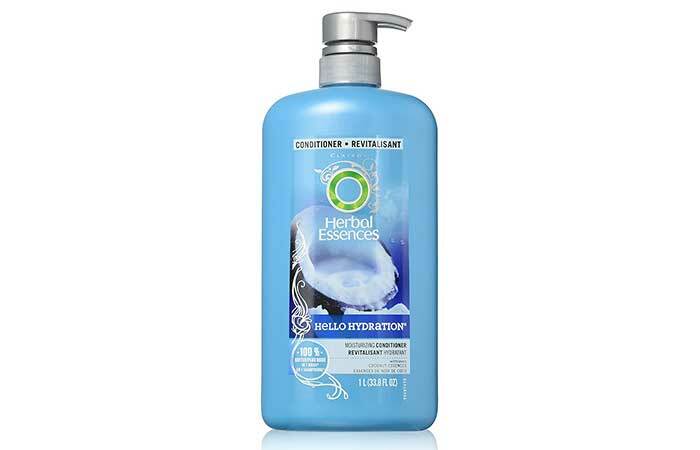 Herbal Essences’ Hello Hydration Moisturizing Cleanser claims to provide your locks with lush hydration with its rich formula that is infused with Hawaiian coconut essences along with orchid extracts. The conditioner is like a drink for your hair and will keep it hydrated, making it silky, smooth, and manageable. Takes a thorough rinsing to wash out. 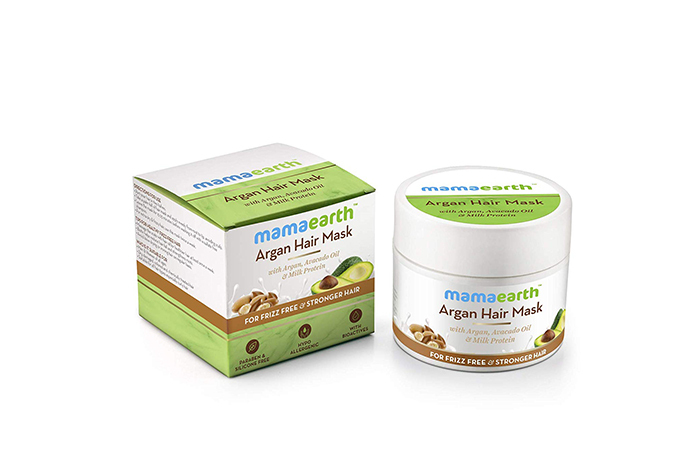 MamaEarth’s Argan Hair Mask enriched with Avocado Oil and Milk Protection is the most moisturizing hair mask currently available on the market. 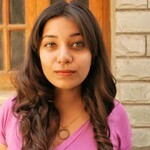 The hair mask claims to reduce frizz and strengthen your tresses, so you can flaunt your glorious mane. Its argan content helps reduce hair fall and makes your hair silkier and easier to manage. It also repairs damaged hair and gives you a healthy scalp. It really is one of the best solutions for dry and damaged hair. 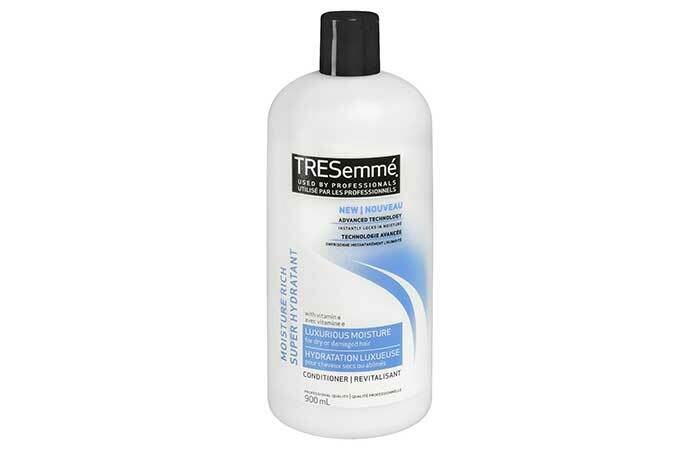 TRESemme’s Luxurious Moisture For Dry And Damaged Hair claims to make your hair about 80% stronger. This conditioner contains vitamins E and B12 which protect your hair from damage while also nourishing and strengthening it. The product helps lock moisture in your hair shafts, keeping it hydrated throughout the day. Can cause buildup with regular use. 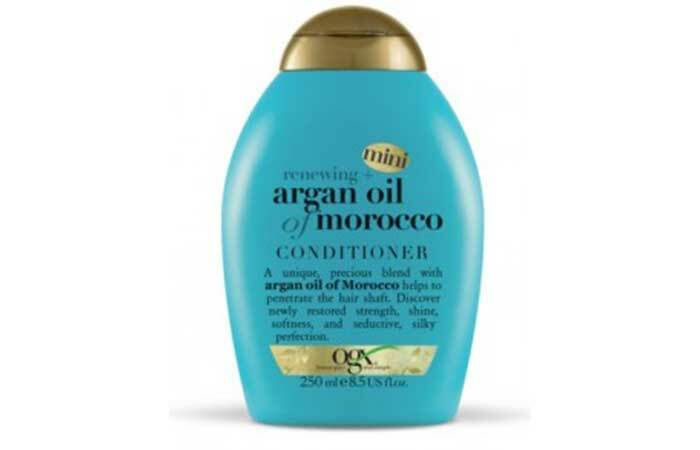 Organix’s Moroccan Argan Oil Conditioner is a fantastic product formulated with the argan oil of Morocco. It penetrates through your hair shaft to hydrate it from within and restore its shine and softness. The conditioner also helps eradicate the build up of dirt and sweat while nourishing your locks. It helps shield your hair against the damage from styling and pollution. 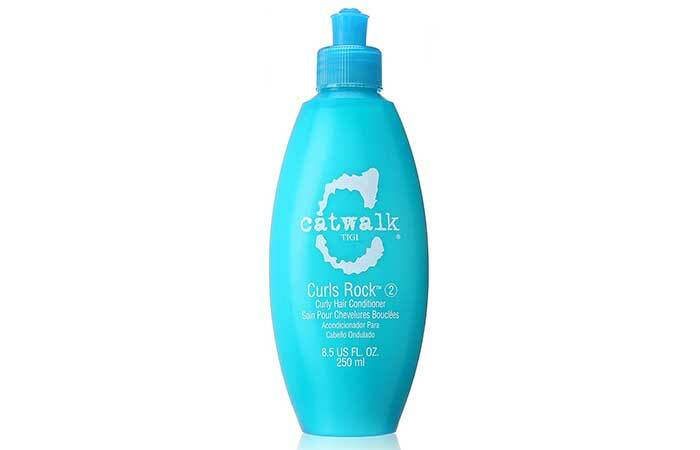 TIGI’s Catwalk Curls Rock Conditioner has been specifically formulated for women with curly hair. Because curly hair is prone to dryness, this conditioner helps keep your hair hydrated and nourished while also helping define and hold your curls. It works especially well when used in combination with the shampoo and leave-in conditioner from the same line. Fragrance may be too strong for some. 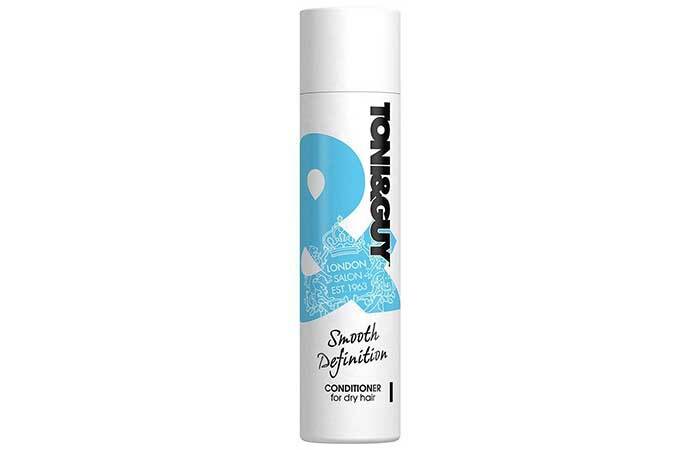 Toni & Guy’s Smooth Definition Conditioner for dry hair helps nourish and condition your hair strands, helping smooth the hair fiber. This conditioner helps revitalize dull and dry hair by locking in moisture and making it more manageable. It also helps control frizz. 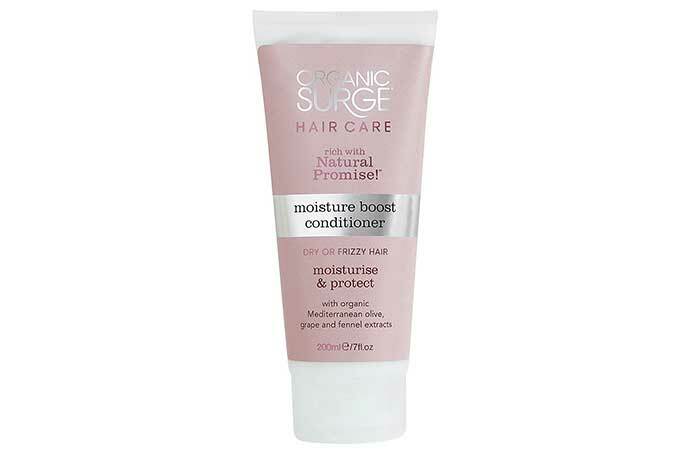 Organic Surge’s Moisture Boost Conditioner is natural and organic. Its formula is enriched with seaweed extracts which help smooth and detangle dry and frizzy hair. The product helps boost moisture retention while improving manageability. It does not contain harsh chemicals and has not been tested on animals. Enriched with natural ingredients and essential oils that boost hair health. The Body Shop’s Rainforest Moisture Conditioner help condition your hair, restoring its moisture balance and improving your hair’s texture. This product helps make your hair softer without weighing it down, giving it a shiny and smooth finish. Enriched with pracaxy oil, community trade honey, manketti nut oil, coconut oil, and babassu oil, it deeply nourishes your hair. Free of silicones, parabens, and colorants. Does not control frizz as well as other conditioners in the same price range. 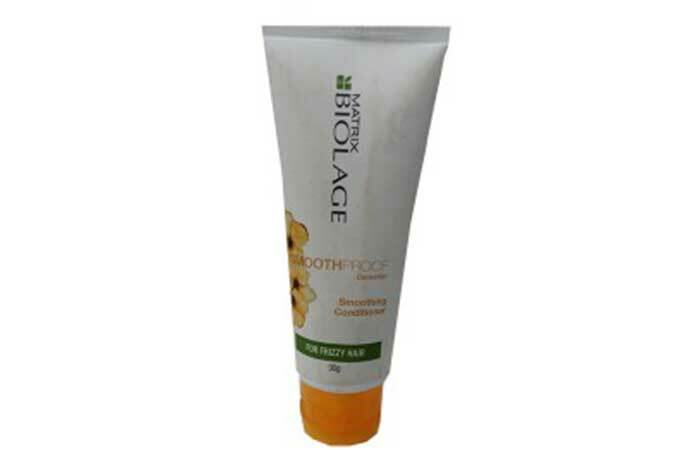 Matrix’s Biolage Smooth Proof Conditioner is formulated for unruly and frizzy hair. It helps control frizz in humid weather and is enriched with extracts of camellia. The conditioner is excellent for detangling and defrizzing your hair while also providing static control. It also helps protect your hair by smoothing the cuticle. Does not improve hair texture much. 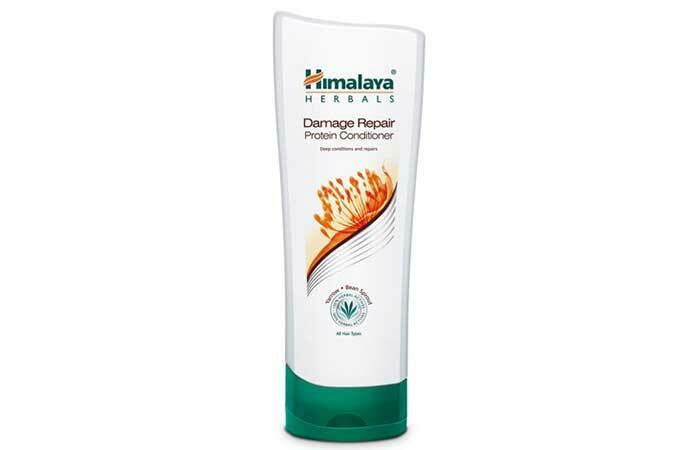 Himalaya Herbals’ Damage Repair Protein Conditioner is enriched with the extracts of herbs that are rich in proteins. It helps condition and nourish your hair, providing it with three benefits—reduced hair fall, damage protection, and strength. The conditioner helps intensively condition frizzy, dry, and damaged hair. It also helps protect your hair against further damage. Efficiently packaged with a flip-cap. 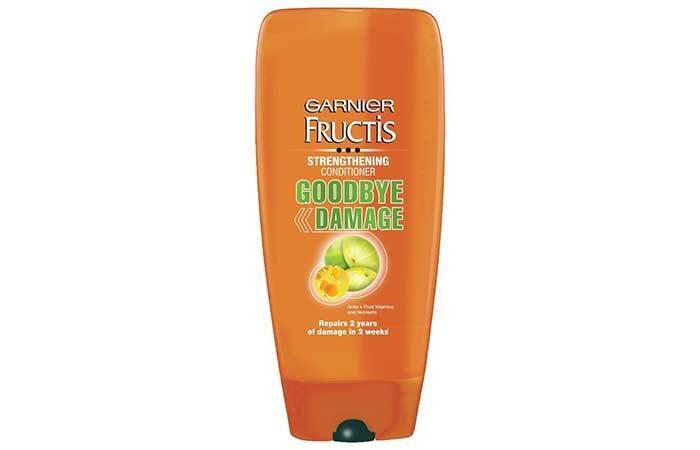 Garnier Fructis’ Strengthening Conditioner Goodbye Damage claims to reverse a year’s worth of damage in three washes. The product’s revolutionary Goodbye Damage formula is enriched with extracts of amla and active fruit concentrates. It helps make your hair 10 times stronger with 4 times less splitting and breakage. The formula helps strengthen your hair from within so that it shines from the outside. Makes hair silky, shiny, and more manageable. Need to use a large quantity for keeping hair hydrated. 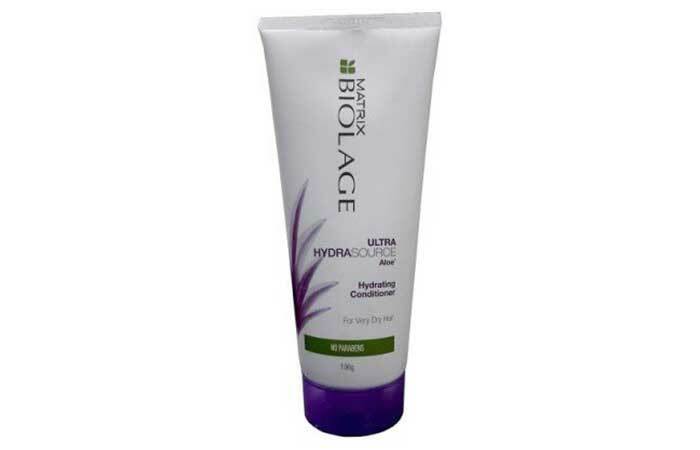 Matrix’s Biolage Ultra Hydra Source Aloe Hydrating Conditioner helps nourish dry and frizzy hair. Its gentle formula helps smoothen hair while providing it with intense nourishment and hydration. 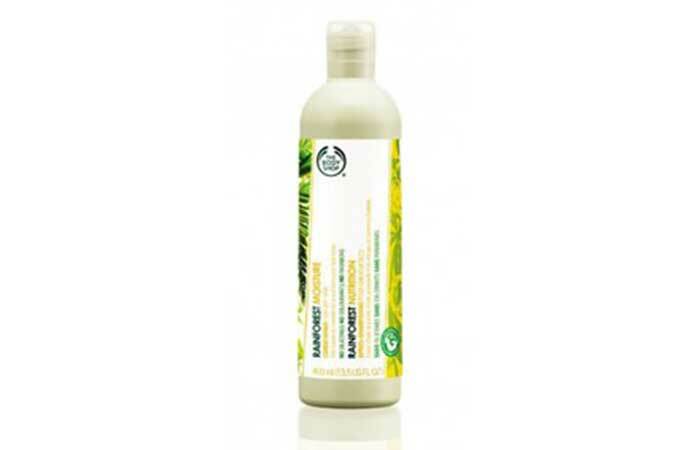 The conditioner is specially formulated to help protect the hair shaft from breakage by strengthening it. It helps detangle dry and damaged hair and make it more manageable. Can weigh your hair down if you use too much. 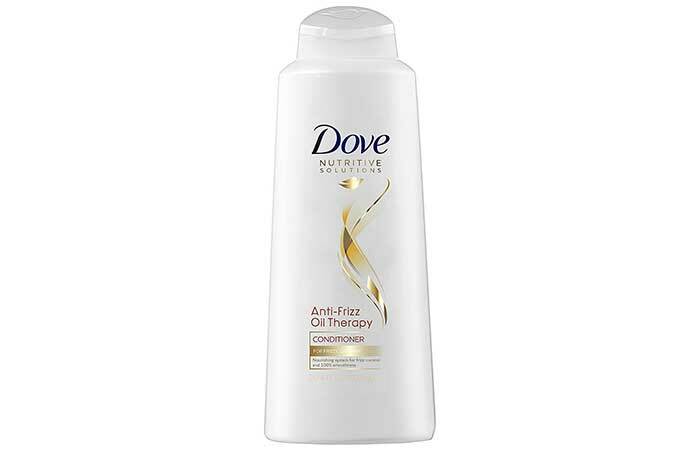 Dove’s Nutritive Solutions Anti-Frizz Oil Therapy Conditioner is a weightless formula that helps condition dry hair from inside. It contains Nutri-Oils which help nourish your hair with regular use. This conditioner helps treat dryness and frizz, leaving your hair feeling extremely soft, smooth, and manageable. Gentle formula with a nice texture. Dry hair can really dampen your spirits, but with this list of conditioners, you are well on your way to smooth, frizz-free hair. Have you ever used any of these products? Tell us about your experience in the comments section below. It’s tough to fall in love with dry and frizzy hair. It is uncontrollable and unmanageable. But using a leave in conditioner adds that extra layer of moisture to your hair and makes it glossy & manageable. 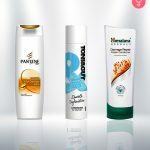 Have look at 25 best leave-in conditioners available in india and you won’t have any more bad hair days ever.